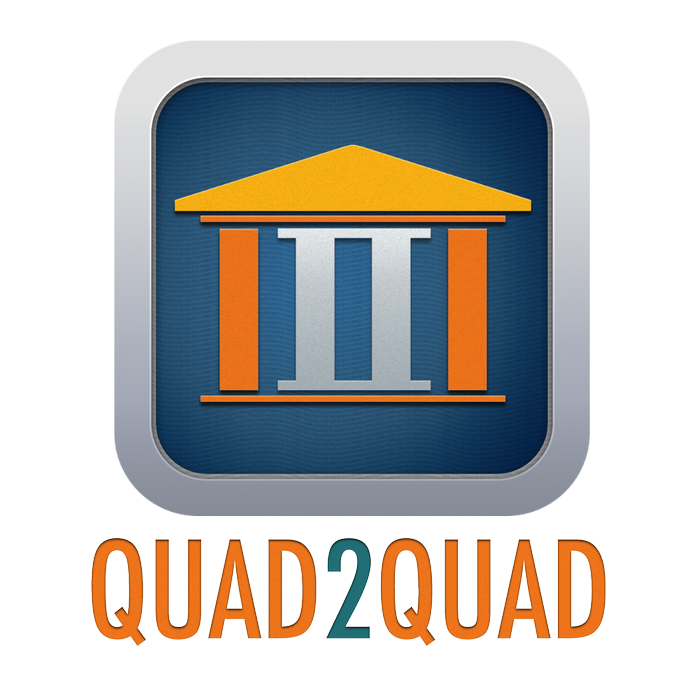 Quad2Quad: The Only College Visit App That Does the Hard Work for You! 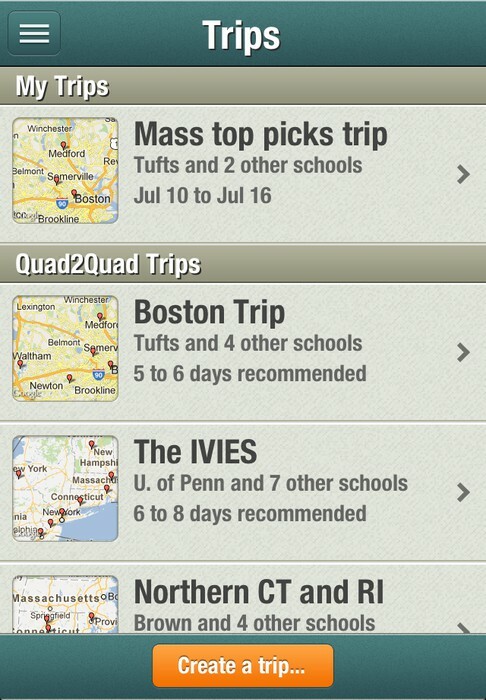 Quad2Quad: The Only College Visit App That Does the Hard Work for You! It is Your College Visit Insurance Policy. Quad2Quad uniquely offers you protection against last minute parking panics that can delay your ability to attend the tours and info sessions of your choice. It is also designed to save you from showing up at a college without prior reservations when they are needed. Another primary function of the app is to guarantee your student can avail themselves of interviews when they are offered because of our focus on each school's interview policies. 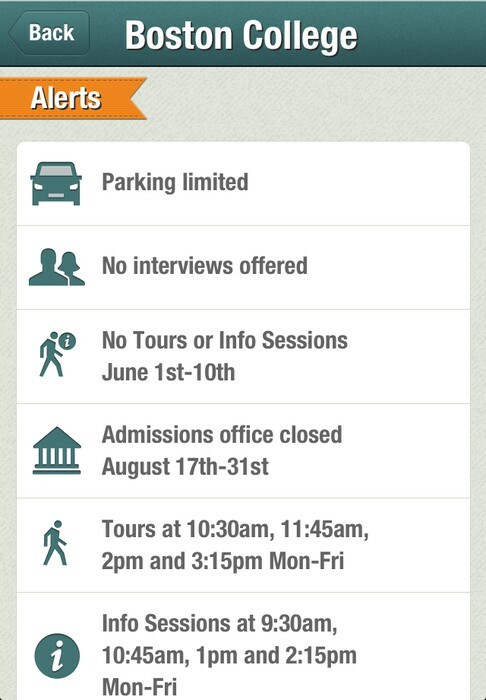 The app also offers the assurance that you will not face a closed admissions office at the end of your travels. 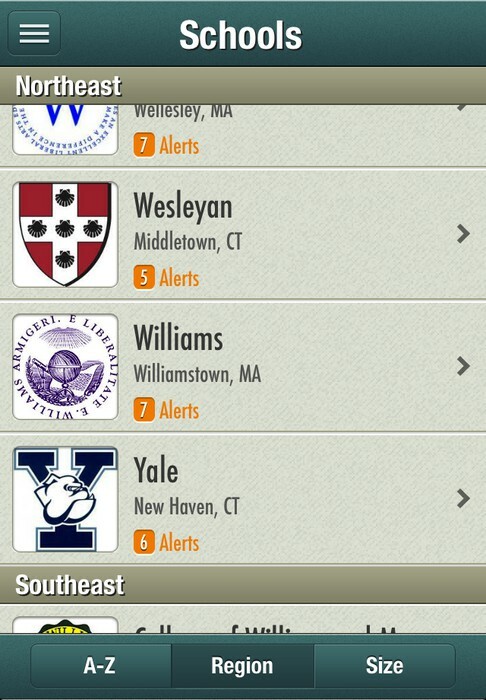 Try the app with our free five school Boston itinerary and check out the elaborate system of alerts we offer to fully inform you about the "need to know" data for Harvard,Tufts, Brandeis, Boston College and MIT. 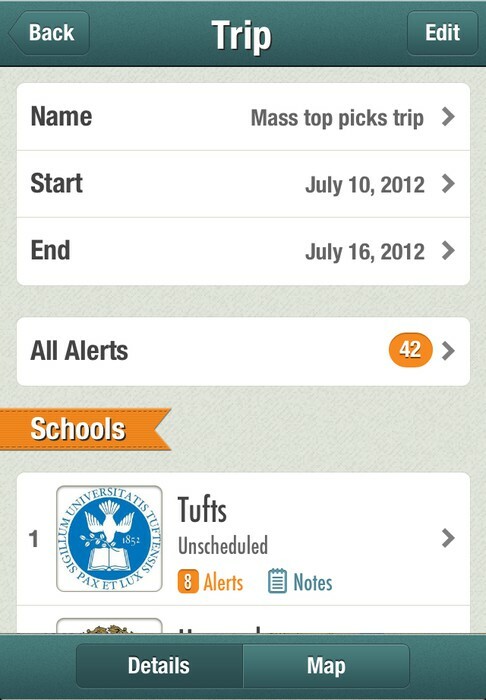 Check out the mapping, the calendar, the alerts and the contact data for the schools of your choice. Put in the dates of your trip, and add the colleges you want to visit, and let us do the rest. Know everything up-front. What number to call for interviews, the timing of walking tours and information sessions, and parking locations. 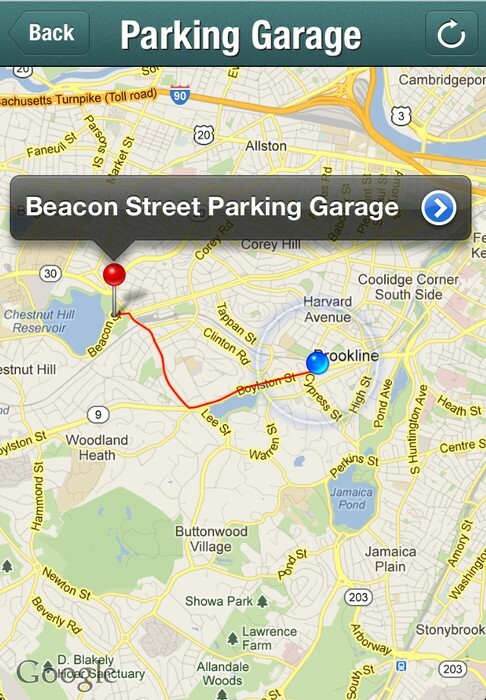 Let us guide you from you home to the exact location of the parking garage you need to park in when you arrive! This app takes what is a seemingly arduous and complicated task and flips it into something easy and fun. After using Ouad2Quad, there's one thing on my mind: bring on those campus tours! I am so excited to finally have an efficient way of planning for our multiple college trips. The Quad2Quad app will save me all of the steps of having to find multiple academic calenders, tour and info times, parking, maps, etc. This will make the road trip with multiple family members much more stress free and fun! GREAT IDEA! A great tool to weed through all the mundane and make college visits fun and adventurous rather than stressful.